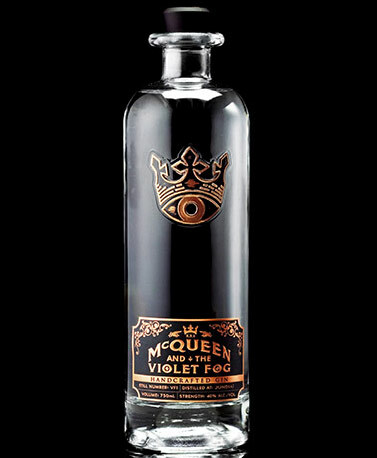 An extraordinary gin handcrafted in the hills of Jundiaí, Brazil, McQueen and the Violet Fog is like no gin on Earth. Distilled with 21 botanicals gathered from all over the world – including six "signature" botanicals rarely (if ever) found in gin – it’s a complex, subtle, incredibly smooth spirit. We use two distillation techniques, maceration and vapor infusion, to create McQueen, making small batches of just 500 liters (55 cases) each time. 6000 miles from the traditional gin world, McQueen and the Violet Fog is a spirit for the bold.